A much acclaimed folk singer who started off in a folk-rock band in the Richmond area of London. 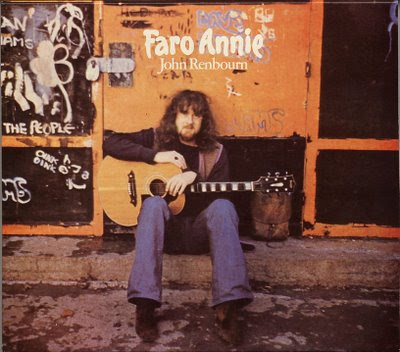 He then drifted into the folk club circuit and with Bert Jansch (with whom he often played) and Davey Graham he was instrumental in developing a new style of acoustic guitar playing. Never a strong vocalist he often gigged live with Jacqui McShee who like Renbourn was also in Pentangle. Sir John A Lot Of Merry England explored Renbourn's interest in medieval music and he was also a fine sitar player. After Pentangle's demise he retreated to his Welsh farm for a couple of years, though he returned in the late seventies to record further albums including one with New Yorker Stefan Grossman.